A: Most people who recognize the name of Hans Küng are aware that he was sharply reprimanded by the Church for some of his theological positions, which are at direct odds with orthodox Catholic teaching. Few realize, however, that Küng was never actually excommunicated! 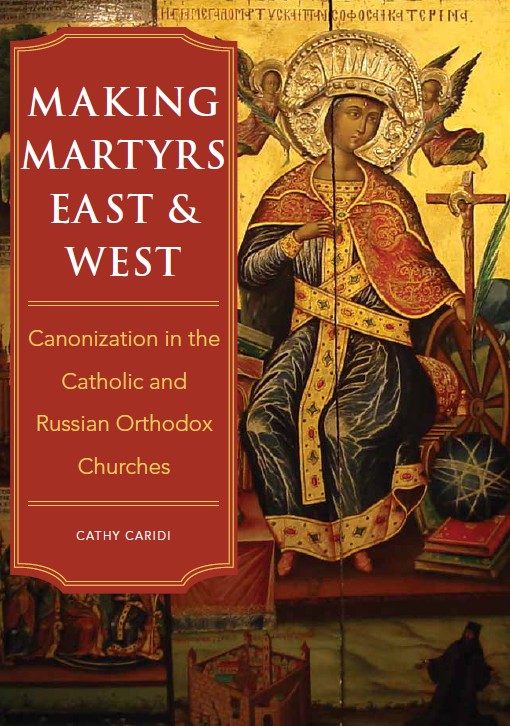 In fact, in the last several decades a number of prominent Catholic theologians were publicly taken to task for their heterodox teachings (usually when they published ostensibly “Catholic” theological books), but almost none has been sanctioned with excommunication. The Church actually has a bit of leeway in dealing with rebel theology professors, depending on the individual situation—excommunication is definitely not the only option. The current Code of Canon Law, promulgated in 1983, contains a canon requiring all theology professors to have a mandate from competent ecclesiastical authority (c. 812). Since nobody can teach Catholic theology without a mandate, the clear implication of the canon is that Catholic officials can revoke the mandate of a renegade theologian, who thereby loses his ability to teach Catholic theology. The Vatican’s action against Father Küng, however, took place some years before 1983, so this canon naturally is never cited in the documents pertaining to his case. All the same, this is exactly what ultimately happened to Küng, as he lost his mandate to teach as a Catholic theologian. Let’s look first at what actually transpired between the Vatican and Hans Küng, and then we’ll examine what happened to another theology professor, who was also taken to task by the Vatican for questionable teachings on various points of Catholic doctrine. By comparing events surrounding the two cases, we’ll see why the two situations were handled differently by the Church. Soon after its publication, the Vatican’s Congregation for the Doctrine of the Faith (CDF) notified Küng that several of his statements in this and other writings contradicted Catholic doctrine. He was asked to explain his ideas further, and in particular, to establish that they were in harmony with the teachings of the Church. This is standard operating procedure for the CDF, whenever the Vatican is confronted with a Catholic theologian who publicly teaches and/or writes on theological issues in a way that does not appear to be consonant with Catholic doctrine. It is, after all, entirely possible that the theologian does not really intend to challenge Catholic teachings at all, and has either inadvertently worded his argument poorly, or failed to think through the doctrinal implications of his position! He is warned of the apparent contradiction between the Church’s teaching on a given issue, and the implications of his own words—and is invited to clarify them. While the several letters back and forth between Küng and the CDF are not a matter of public record, it appears that Küng acknowledged the theological problems the CDF had identified in his books, and expressed a willingness to try to harmonize his ideas with the teachings of the Catholic Church. For this reason, the Congregation issued a formal Declaration in 1975, explaining the defects in Küng’s writings and warning him “not to continue to teach such views.” The Declaration also served to inform “the Bishops in Germany and in other places where it may be particularly necessary, above all where the above-mentioned views have been upheld in theological faculties, in seminaries and in houses of Catholic or priestly instruction,” that Küng’s positions on certain theological questions were contrary to Catholic teaching, and were not to be held. In this way the document did double-duty, as it warned the Catholic faithful of the heterodoxy of many of Küng’s views, and encouraged Küng himself to set about correcting them (as he had expressed a readiness to do). …[T]his Sacred Congregation warned Professor Küng that he should not continue to teach such opinions, expecting in the meantime that he would bring his opinions into harmony with the doctrine of the authentic magisterium. However, up to the present time he has in no way changed his opinion in the matters called to his attention. Since Küng still holds theological opinions which contradict Catholic teaching, and has not changed them even after receiving multiple warnings from the CDF, why wasn’t he ever excommunicated? The answer presumably lies in his letter-exchange with the CDF, which remains off-limits to the public. It would seem that in his responses to the Congregation back in the 1970’s (and possibly later ones as well), Küng indicated a desire not to deliberately remove himself from communion with the Church. If he had demonstrated a total disdain for Catholic orthodoxy and a disrepect for the authority of the Pope as the arbiter of that orthodoxy, and an indifference to the potential fallout from his own publications, the final outcome of his case at the CDF may well have been entirely different. That’s not to say, however, that a more combative Küng would necessarily have been declared excommunicated right away in any case. We saw in “Have Pro-Abortion Politicians Excommunicated Themselves?” that declaring that a Catholic has incurred the sanction of excommunication is a last resort—a sort of “nuclear option” available to the Church after all other possibilities have been exhausted. The Church always gives multiple warnings in such cases, to make sure that it is absolutely clear that the person in question fully understands all the implications of retaining his heterodox beliefs. Nobody is ever excommunicated unwittingly or by accident! 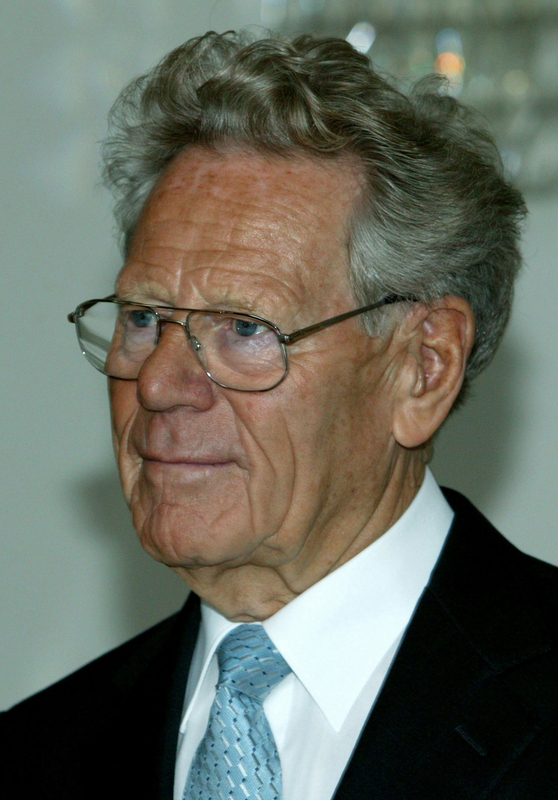 To this day, Hans Küng is not permitted to identify himself as a Catholic theologian, and the objectionable elements of his books remain exactly that. You might say that Küng inhabits a sort of canonical “gray area,” as he is still a Catholic, and still teaches theology—but he is not a Catholic theologian. Both the Vatican and Küng himself hold essentially the same positions that they had when Christi Ecclesia was issued in 1979. There is always the hope that Küng will develop his theological ideas in a different direction, where they can be harmonized with the teachings of the Church. In contrast, some years later another Catholic theology professor presented the CDF with a very different situation. Oblate Father Tissa Balasuriya, who taught theology in Sri Lanka, published a book in 1990 that directly challenged some facets of Catholic teaching on the Virgin Mary as the Mother of God. When the Sri Lankan Catholic bishops publicly urged the faithful to avoid the book, Balasuriya responded by attacking the bishops, claiming that they had not understood his writings correctly. The CDF then contacted Tissa Balasuriya in 1994, addressing him in much the same manner as they had Hans Küng, nearly 20 years before. Their goal was to inform him that certain parts of his book conflicted with Catholic teaching, and permit him to explain himself further, to see whether his ideas could be reworded or amended in such a way as to accord with Catholic doctrine. 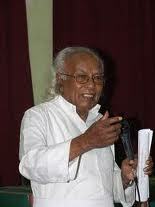 Once again, however, Balasuriya responded combatively, by asserting that his book had been misinterpreted. In reply, the CDF sent Balasuriya a copy of the Profession of Faith, and asked him to sign it, to show that he believed in the central tenets of the Catholic faith (some of which had been challenged in his book). In this way, the CDF obviously hoped that Balasuriya could demonstrate that he was not espousing theological ideas which were heretical. But instead of signing the document, Balasuriya sent the CDF a different profession with hand-written emendations, indicating that he believed the faith could have changed in the years following Vatican II! Obviously, Balasuriya was not cooperating with the Vatican—and by acting in this manner, he hardly gave the impression of a priest who respectfully deferred to church authorities. It seems quite clear that the CDF (headed at the time by Cardinal Ratzinger) felt that Balasuriya was being deliberately antagonistic. For that reason, the CDF gave Balasuriya one more chance to sign the Profession of Faith that had been sent to him originally. Not only did Balasuriya fail to sign it; but he also initiated a civil action in the Sri Lankan court system against the Catholic bishops of that country, for their public condemnation of his book. 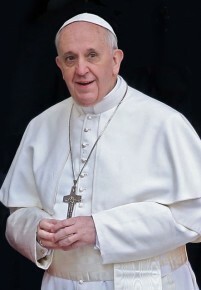 On top of that, he tried to take legal action in the Vatican courts against the CDF—and when that was unsuccessful, he next attempted to go over the heads of Vatican officials, with a personal appeal to the Pope himself! It was painfully obvious that when it came to a theological evaluation of his writings, Father Balasuriya had no intention of accepting the negative decision of his superiors in the Church hierarchy. Rome warned Hans Küng and Tissa Balasuriya in the same way about the heterodoxy of their writings, but with very different results. The differences in the responses of these two theologians to concerns raised by the Vatican about their theological works are clear. While both of them had written books challenging Catholic teachings, one responded with overt hostility to the questions being raised by his superiors; the other apparently did not. Not surprisingly, the Church’s response to each man differed too: although the objectionable books written by each theologian were publicly criticized as being contrary to the faith, one of the authors was declared excommunicated—and the other was not. But as we’ve seen here, that’s because one of them repeatedly manifested hostility to the suggestion that he amend his theological views, and the other agreed at least to think about it and give it a try. The Catholic Church doesn’t want anybody to be excommunicated. As was discussed in “Am I Excommunicated? Sanctions, Part I,” the Church’s main goal in declaring an excommunication is to encourage the person to amend his ways and return to communion with the Church. In the case of Father Balasuriya, this is precisely what happened the following year, when he finally signed the profession of faith and acknowledged “serious ambiguities and doctrinal errors” in his theological writings. Let’s hope that Catholic theologians throughout the world never lose sight of the fact that their research, teaching and writing should always be done to bring people closer to God and give Him glory. This entry was posted in Catholic Education, Crimes and Sanctions and tagged canon law, Catholic, excommunication, Hans Kung. Bookmark the permalink.